IF YOU ARE WORKING WITH THE FIRST GRADES WITH THE HELLO AND GOODBYE EXPRESSIONS THIS WORKSHEET WILL HELP YOU. 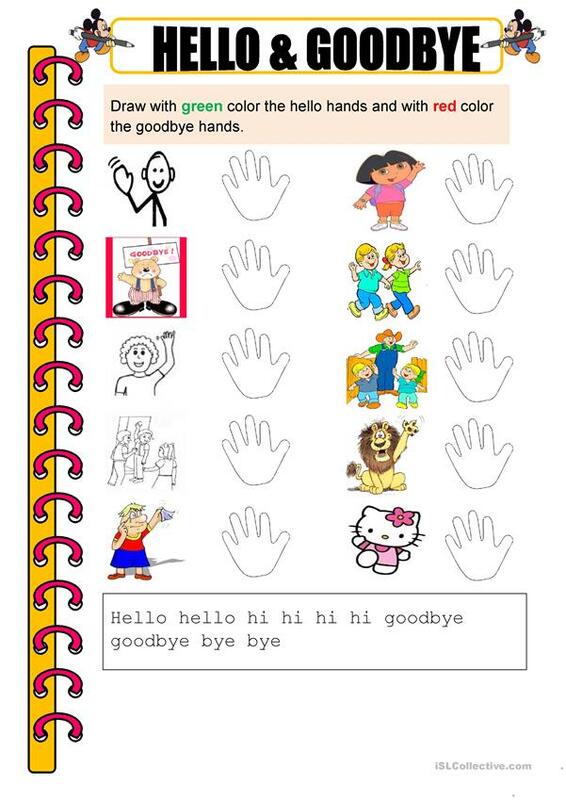 The above downloadable handout is recommended for elementary school students and kindergartners and nursery school students at Beginner (pre-A1) level. It can be used for developing your students' Writing skills. It focuses on the theme of Greetings.